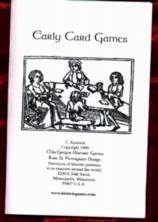 We have written our own booklet of games to accompany our period playing cards. We tried select games that do not appear in most standard collections of card games, and are fairly easy to learn -even for non-card players. We have come up with a dozen games that are all documented in Europe prior to 1700, and included a brief history of playing cards in Europe. 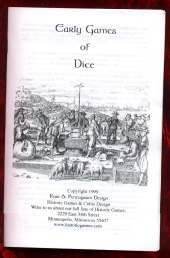 Although it's not a source for the rules of games it is an excellent look into the history and evolution of card games by David Parlett, one of the world's leading authorities on games.